+ and this new program, which reduces the processing time for student licenses within 45 days compared to within 60 days, will be helpful. Students from India, China, Vietnam and the Philippines, who demonstrate in advance that they have the necessary financial resources and language skills to succeed academically in Canada, can sign up for the newly launched "Student Direct Stream" program. (SDS) decide. The former Student Partners Program (SPP), which included less visa documentation and faster processing, was narrower and available only to students who had applied to 40 odd participating Canadian colleges. On the other hand, the SDS program, introduced in early June, is available to students who choose post-secondary courses (ie college education) at all designated learning institutions, according to a statement by Immigration, Refugees and Citizenship Canada (IRCC ), the Immigration Department of the Canadian Government. This announcement is almost in line with the British Government's decision to exclude Indian students from simpler visa standards. With growing protectionism in the UK and US, the number of Indian students deciding on Canada is growing steadily. 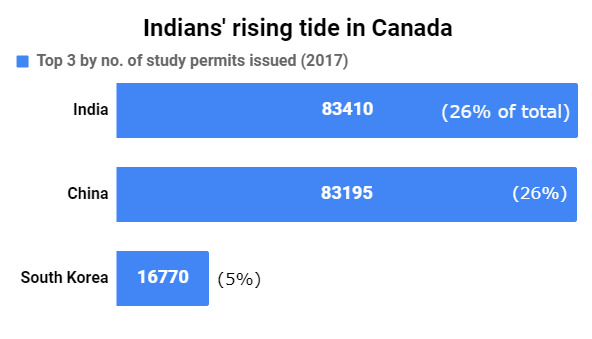 Indian students received 83,410 study permits in 2017, an increase of 58% over the previous year. Earlier, including during 2015 and 2016, Chinese students were the largest class of international students to receive the study permits. India topped this list in 2017, with students receiving 26% of all study permits issued that year, closely followed by China. The trend that Indian students are the largest class of international students is more pronounced in the period from January to April 2018. 29,000 Indian students receive the study permit, compared to 16,925 from China. These statistics are based on an analysis of TOI of open data available on the website of the Canadian Government (see table). According to the Canadian Bureau for International Education, an educational nonprofit organization, 4.95 lakh international students visited Canada in late 2017, an increase of 20%. In an e-mail response to TOI, an IRCC spokesman said that the top source countries for international students who were in Canada on December 3, 2017 were China (with 1.40 lakh students), India (with 1.24 Lakh students) and Republic of Korea (with 23,050 students). Talha Mohani, immigration law specialist and Managing Director of Migration Bureau Corp. in Ontario, the essence of the SDS program explains: "An application for a study permit is assessed for admissibility and admissibility, including finance, language and medicine, and the SDS program will meet several of these criteria in advance In addition to purchasing a guaranteed investment certificate of Canadian $ 10,000, a minimum score of 6 for English is also required in the International English Language Testing System and the applicant must also provide a copy of the medical certificate given that some key criteria If the application is made in advance, it will allow the IRCC to reduce the time required to review and complete the evaluation process. " "Canadian education and work experience (internship experience counts) are extremely valuable when it comes to job prospects in Canada," quotes a job broker. 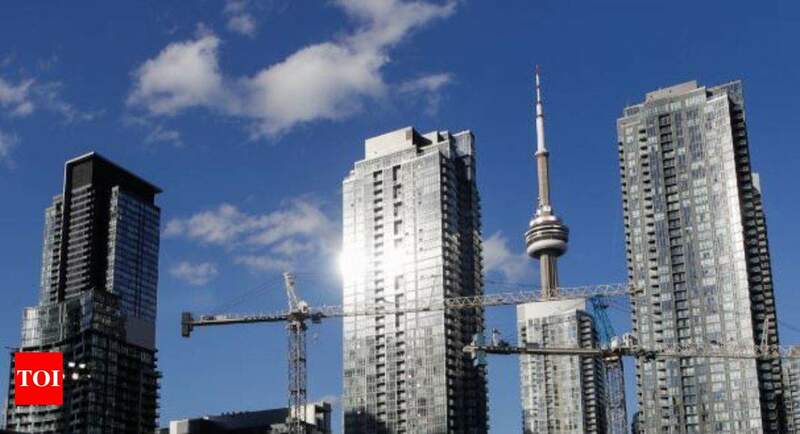 Cynthia Murphy, Interim Regional Director of the Canadian Immigrant Integration Program, says, "Canadian students, including international students, usually complete an internship as part of their degree program, allowing them to connect with future employers." According to the IRCC, "the SDS complements the express entry system, as these students are well positioned to continue on their way to permanent residence and Canadian citizenship after their studies in Canada." The Express Program For permanent residence in Canada, Point is based and a Canadian education helps gather additional points. Mohani states that an applicant can receive 15 additional points for a post-secondary education program in Canada lasting one to two years, and 30 points if it has a duration of three years or more. While no official data is available on the most popular courses chosen by Indian students, industry observers say that business, civil engineering, software development, medicine, and hospitality are some of the most popular courses.